Notes: For the next two days I will become the World’s Strongest Man, well at least work out like one. FitnessBuilder has two workout routines that are geared to make you stronger called the World’s Strongest Man. Today’s workout left me physically drained, I pushed myself by adding weight as I did sets. 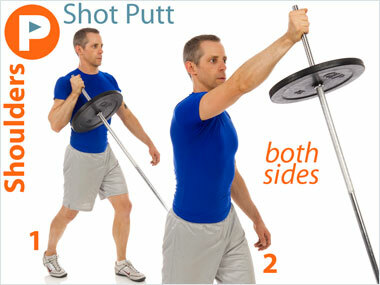 Exercise of the Day: The Shot Putt shoulder exercise. 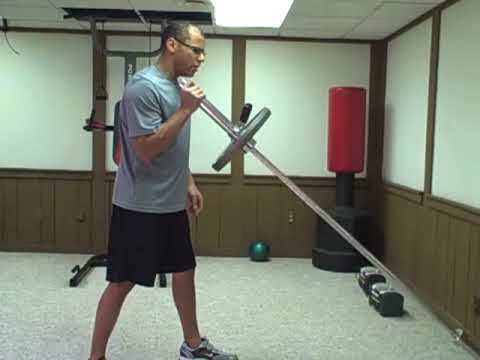 A interesting way to use the chest barbell to hit your shoulder muscles, a must try.